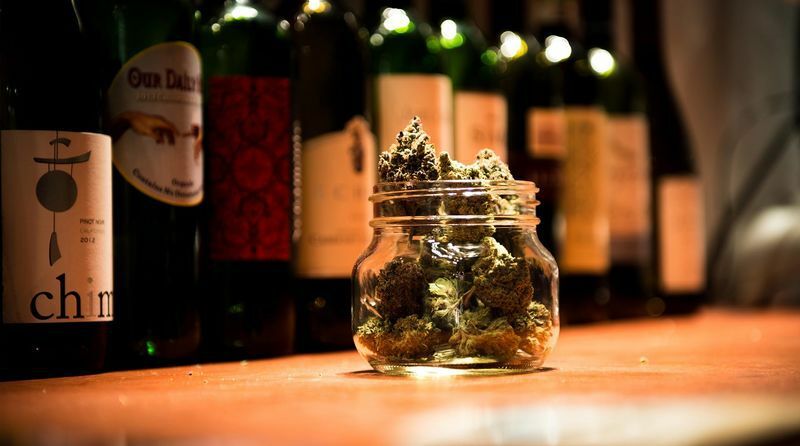 A lawsuit between wine growers and weed growers has come head to head in Yamhill County, Oregon. Neighboring vineyard families, Harihara and Parvathy Mahesh and the Momtazi Family LLC, are suing their neighbor, Richard Wagner on the grounds that his weed farm is damaging their grapes. Wagner’s parents, Steven and Mary, who own the land, gave it to their son with the intention of producing and processing weed. Wagner is legally allowed to grow on his farm land. However, he is waiting on a permit to join an expanding list of weed growers making hash oil and rosin. The Wagners bought the property last December. Whereas, his neighbors, the Momtazis, have grown grapes for 18 years on their land spreading 580 acres. All parties appeared in court in April with lawyers ready to fight the long battle ahead. Tension over the smell of marijuana came to a clash when the Momtazi Vineyard lost an important grape-buying customer because of the neighboring marijuana operation. The customer canceled its order because “the foul-smelling particles will migrate by air” and ruin the Mahesh and Momtazi grapes. The claim itself is unprecedented, as is the entire lawsuit. This means both sides will likely hire scientists and industry experts to support their cases. There have been few cases in the past involving the smell of marijuana. However, none, if any, have claimed and proven damage to neighboring crops. A jury of peers will determine if marijuana smell can, in fact, permeate vineyards grapes through diffusion and osmosis. What are diffusion and osmosis? In layman’s terms: Diffusion is the process of gas molecules spreading out (like smelling vanilla in the air after opening a bottle). Osmosis is a kind of diffusion. However, it is when a substance diffuses across a membrane, absorbing its molecules. We’ll leave it up to the scientists to convince the jury of the process. That being said, the Momtazi claim seems rather far-fetched. At the same time, their long-standing business and land are experiencing a new problem in the face of marijuana legalization. So where does the law draw the line? He writes, “a most enjoyable odor of sour skunky grapefruit” and “the terpenes are stinky like this bug–rotten fruit, gas, and notes of tobacco.” Yum. Wagner’s lawyer pointed out that the posts simply show Wagner enjoying marijuana, which is legal in Oregon. This does not prove the smell has, or is capable of, infecting the vineyard grapes. Round one went to Wagner and his “fat dabs.” The trial is expected to last into the next year as the neighbors resolve their conflict.